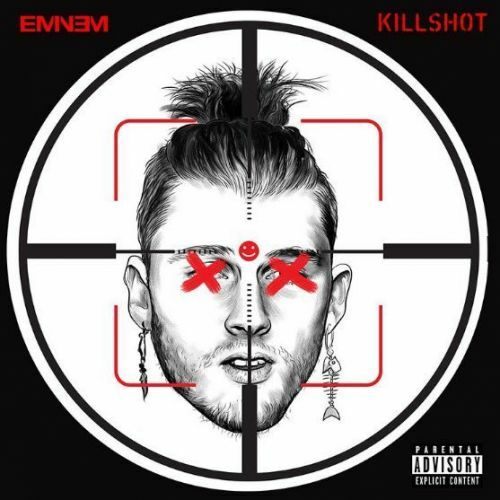 The UFC heavyweight Chase Sherman has a small but valuable advice for the young rapper Machine Gun Kelly after Eminem destroyed him in his brand-new record Killshot. Eminem recently went on a dissing spree on a group of 'mumble rappers' in the industry with his latest surprise album 'Kamikaze', One among the many artists, who were victims of the Rap Gods wrath was Cleveland's Machine Gun Kely (MGK). MGK got triggered when Eminem called out MGK on the track Kamikaze, rapping, "And I'm talking to you, but you already know who the f--k you are, Kelly/I don't use sublims and sure as f--k don't sneak-diss/But keep commenting on my daughter Hailie." Machine Gun Kelly fired back at Eminem with "Rap Devil," a diss of his own. In which he further commented on Eminem's daughter Hailey. He also took aim at Eminem's "weird" beard and claims his last four albums were "as bad as your selfie." They Killed my Dog, I Killed them all. The John Wick franchise consists of thriller movies created by Derek Kolstad and directed by Chad Stahelski. The original film, John Wick, starred Keanu Reeves as a retired assassin who went back to his roots to become an assassin once more. He returns to his past life of violence and bloodshed to avenge the outlaws who killed his beloved pet Daisy, the Beagle pup given to him by his wife. 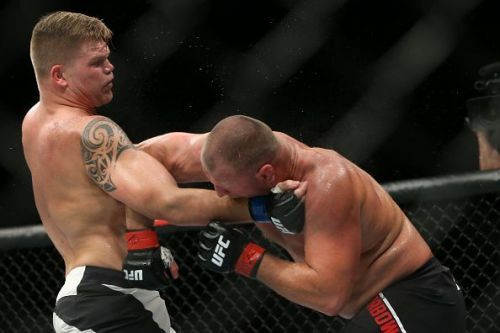 Chase Sherman (11-5) is an American professional mixed martial artist currently competing in the Heavyweight division of the Ultimate Fighting Championship. Sherman took it to his official Twitter handle this morning to give advice to MGK after the 'Rap God' came up with his much-awaited diss track 'Killshot' roasting MGK. Talking about Eminem’s Daughter is like killing John Wick’s dog. Sherman implicitly stated that talking about Eminem's daughter is a death-wish and an attempt to self-destruct and MJK should have never done that in the first place. He further related talking about Hailey as to the killing of John Wicks dog referring to the repercussions of the ridiculous mistake. Will MGK still want more? Or will he join back down before the beef really heats up? Only time can tell that. At the same time, there is more reason for dog lovers to rejoice, the third instalment of the 'John Wick' is in the making with Keanu Reeves and Hallie Berry. UFC 49: What happened when Randy Couture tried to regain the Light-Heavyweight title? UFC 13: What happened when Randy Couture and Tito Ortiz debuted for UFC?